Dodoma, 21 March 2019. Over 60 key stakeholders from civil society, business and government agencies from Tanzania mainland and Zanzibar gathered at the Royal Village Hotel, Dodoma for the first annual multi-stakeholder dialogue on Business and Human Rights. 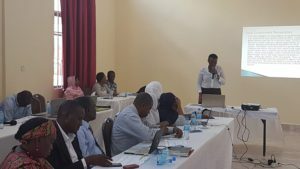 This event was organized by the Tanzanian Commission for Human Rights and Good Governance (CHRAGG), Business and Human Rights Tanzania (BHRT) and the International Peace Information Service (IPIS). The main purpose of this annual dialogue is to raise awareness, build trust and ensure multi-stakeholder buy-in to advance the agenda on business and human rights in Tanzania. 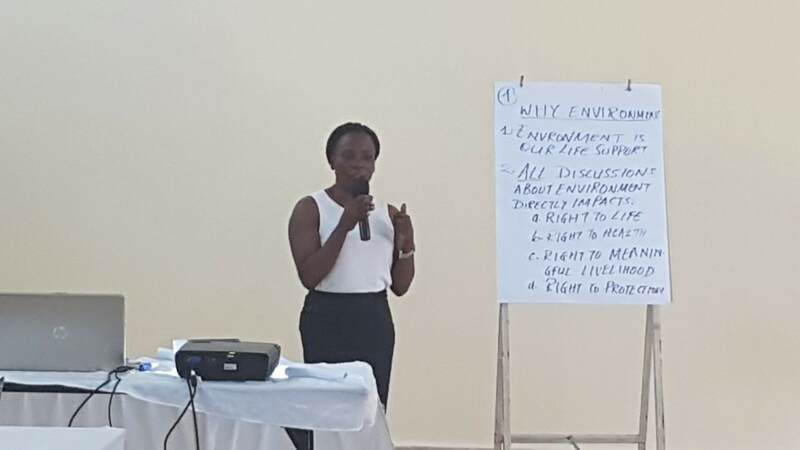 The day’s programme included a brief overview of the key concepts and (inter-)national frameworks on business and human rights, such as the UN Guiding Principles. This was followed by the presentation of five case studies on pertinent business and human rights issues in Tanzania that were conducted by CHRAGG, BHRT, IPIS, Governance Links and the Legal and Human Rights Centre (LHRC). Their studies focused on human rights issues to watch during the planned construction of the East African Crude Oil Pipeline, on labour rights issues in the fish processing and cut flower industries of Mwanza and Arusha respectively, on the tense relation between tourism investment and land rights in Sadaani National Park, and that between forest conservation and limestone mining in Kigoma Region. This work will be published as the first volume in the series “Voices from Tanzania”. In the afternoon, participants were invited to discuss the current state of protection of human rights in relation to business activities in Tanzania. 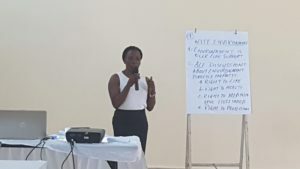 Building on the participants’ own expertise, the 2017 National Baseline Assessment and context updates from stakeholder consultations held in 2018, key ‘business and human rights’ challenges and priorities were identified in the areas of ‘labour’, ‘land’, ‘environment management’ and ‘tax regime’. Group discussions were lively and engaged, and raised issues such as inadequate coherence, monitoring and enforcement of existing legislation, the cross-cutting nature of topics such as land, environment and gender in safeguarding human rights and the absolute need for increased awareness on the topic of business and human rights. At the end of a fruitful day of exchanges and debate, ‘land rights and environment’ emerged as the priority topic to focus on next. As such, BRHT, IPIS and CHRAGG will place this at the heart of their work on “Improving monitoring, research and dialogue on Business and Human Rights in Tanzania” in 2019. We thank all stakeholders for their active participation and enthusiasm to push for progress on business and human rights in Tanzania. This event is part of the ‘Improving monitoring, research and dialogue on Business & Human Rights in Tanzania’ project implemented by CHRAGG, BHRT and IPIS, with the financial support of the European Instrument for Democracy and Human Rights.